The Ninth Circuit Court in California struck down a San Francisco ordinance mandating health warnings on ads for sugary drinks, finding that the city’s law violated the First Amendment by chilling the beverage industry’s right to free speech. The 11 judges said in a unanimous decision that the city of San Francisco had failed to show that the health warnings were neither unjustified nor unduly burdensome. They rejected the city’s argument that requirements that the warnings take up 20 percent of the ad and be off-set by a border follow best practices for health and safety warnings. The panel granted an injunction preventing the law from going into effect. 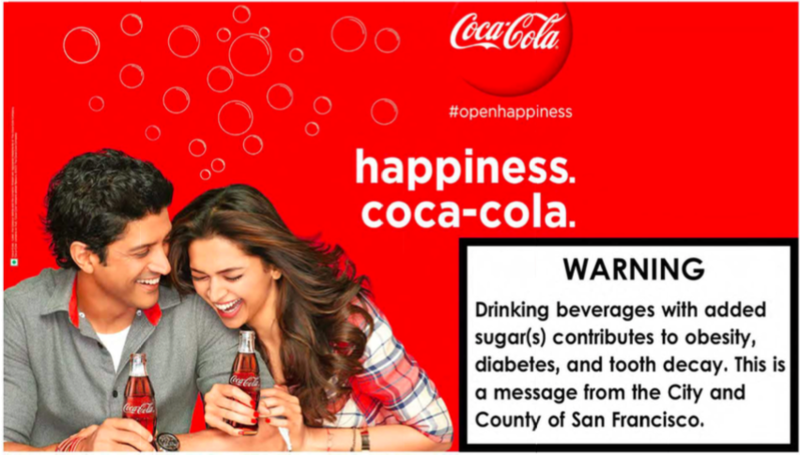 What Did the San Francisco Soda Ad Warning Require? A prior three judge en banc panel found that elements of the mandated warning — a black box that overwhelmed other visual elements of the ad — unduly burdened and chilled protected speech. In addition, a Ninth Circuit panel found that the warning sent a message that sugar-sweetened drinks contribute to obesity and diabetes, regardless of the quantity consumed or other lifestyle choices, contrary to statements from the U.S. Food and Drug Administration that added sugars are generally recognized as safe and can be part of a healthy dietary pattern when not consumed in excess. The city of San Francisco argued that local government entities have the authority to conduct public health campaigns to warn the public of potential health risks, including requiring specific labels on certain foods. The city argued that the label notifies consumers that sugary drinks can pose health risks. The size of the warning, they argued, must be large enough to catch the attention of the consumer, noting that the U.S. Congress has previously found that smaller warnings are easily overlooked by consumers. The American Beverage Association argued that the labels are unduly burdensome with a size requirement that is too large and that negatively influences how customers perceive advertisements about certain products, like soda, thereby violating corporate free speech rights under the First Amendment. In addition, the Association argued that the warning is misleading, in that it leads consumers to think that sugary drinks alone contribute to health problems like obesity and diabetes. The labels, the Association argued, are overbroad in that they do not address other factors of obesity, such as over-consumption and other lifestyle choices. Further, the warning does not differentiate between Type 1 and Type 2 diabetes, which are affected by sugar in different ways. CMBG3 Law LLC has represented clients in products liability matters, including necessity and adequacy of warnings, for many years. If you have any questions or would like more information, please contact John Gardella (email him or 617-279-8225).